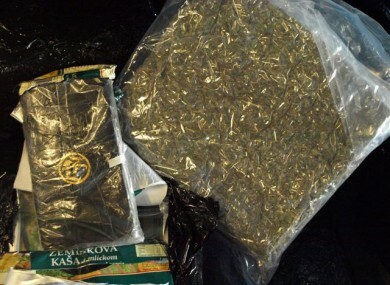 Cannabis plant and herb with an estimated street value of €100,000 was seized in Tuesday’s raid. A MALE IN his 30s has been charged in relation to Tuesday’s drugs seizure at Derreenaling, Ballyvourney, Co Cork. A large quantity of cannabis plant and herb with an estimated street value of €100,000 was seized. The two other males that had been detained following the discovery have been released without charge. The charged man is set to appear at a special sitting of Bandon District Court tonight at 9pm. Comments are disabled as legal proceedings are active. Email “Man charged in relation to Tuesday's cannabis seizure in Cork”. Feedback on “Man charged in relation to Tuesday's cannabis seizure in Cork”.